Implants are titanium posts which are surgically placed into the jawbone where teeth are missing. The bone bonds with the titanium, creating a strong foundation for artificial teeth. In addition, dental implants can help preserve facial structure by preventing the bone resorption which occurs when teeth are missing. If you and Dr. Progebin believe that implant dentistry is the right choice for you, he will refer you to a qualified Oral and Maxillofacial Surgeon for an evaluation. Your questions and concerns are important to us and our team will work with you very closely to help make your procedure a success. For most patients, the placement of dental implants involves two surgical procedures. First, implants are placed within your jawbone. For the first two to four months following surgery, the implants are beneath the surface of the gums, gradually bonding with the jawbone. After the implant has bonded to the jawbone, the second phase begins. The surgeon will uncover the implants and attach a small healing collar. Dr. Progebin can then start the prosthetic process. 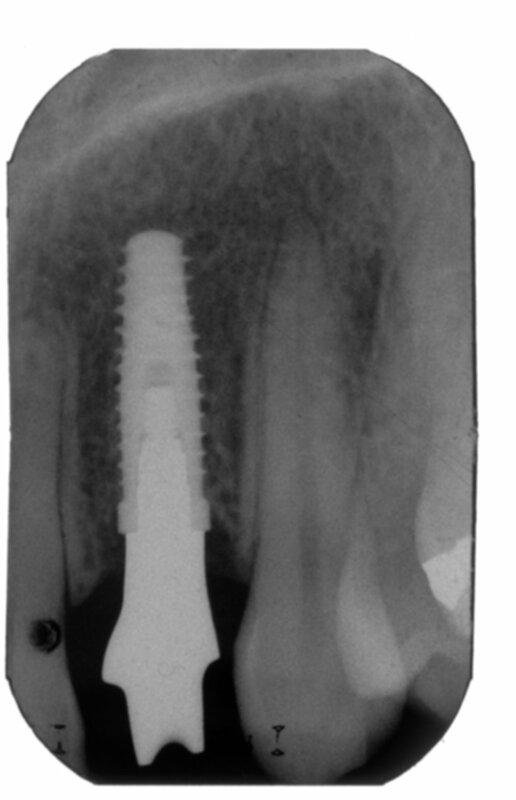 The entire implant and prosthetic process usually takes six to eight months; however most patients do not experience any disruption in their daily life.